Sashiko is not all about stitching process, but creating the beautiful result with stitching. In order to make a good Sashiko art, preparing fabric with the pattern printed is a very important option. *I have a Tutorial Video explaining how to transfer the pattern as a process of Sashiko Preparation. 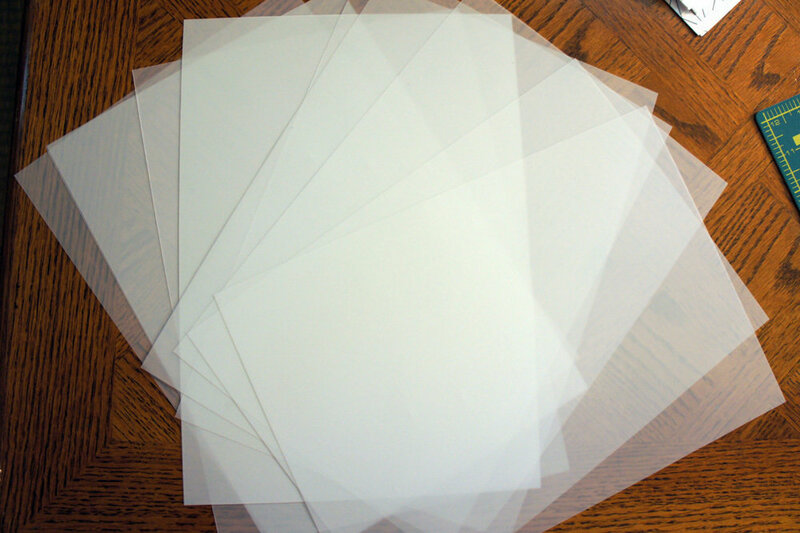 We used to use a Poly sheet (like a Cello paper we can get from a store). However, transferring the pattern with thin Poly sheet sometime result in the mess. It was sometimes challenging for someone with experience like us. For beginners, it could be a series of nightmares. Then we found this mylar paper. It is very thick with reusable quality. It is even printable with a laser printer (Not with a ink-jet printer). Enjoy the preparing process, and Enjoy Sashiko even more. The Size: 16.5" x 11.75" (8.25" x 11.75") | The mylar paper will be folded in the package envelop. *If you prefer un-folded mylar paper, please choose the option. They are available with the extra shipping & handling fee.